"I am an avid animal lover, especially Donkeys and Mules, hence the name Hybrid Hollow. Having grown up in St. Louis County I knew by the age of ten that I would someday have a farm of my own. Around this time I was also given my first camera, a little Kodak 110. Somewhere along life’s journey to become a farmer a passion for photography developed which allows me to capture the little things that give me pause and bring me joy. With a degree in Animal Science I have enjoyed the country life as a Hobby Farmer for over twenty years now. My photography reflects my everyday life and the simple pleasures that surround it. For anyone who enjoys animals, the outdoors, and the simple life…I hope my photos put a smile on your face and warm your heart." Kim Carr's photography is a deep reflection of her life on the farm. Raised in St. Louis, Kim took an early interest in animals and rural life. Her work is based purely on passion for the art. Kim has lived on a small farm in mid-Missouri for twenty five years. Combining her love of animals, sustainable agriculture, country living and photography, you can see these passionate interests are woven together to create the beautiful photography of Kim Carr. Kim has a BS in Animal Science and went on to establish Hybrid Hollow Production in 2010. She is a Juried Member of Best of Missouri Hands. Learn more about Photographer Kim Carr on her website. "Sophia is a little Sicilian jenny who belongs to a friend of mine outside of Columbia, MO. She has two sons, Leonardo and Picalo. 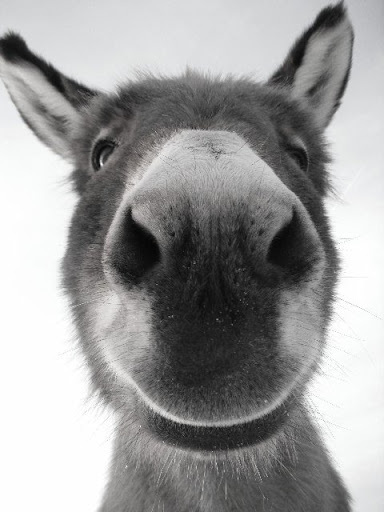 They are family pets but donkey's are often used as guardians in flocks of sheep or other small livestock. Some farmers use them as companion animals to keep young calves or other animals company. Donkeys come in three sizes. Miniature like Sophia, Standard which is pony size and Mammoth which is horse sized. I photographed Sophia with my pocket Fuji XP camera." "Two Eggs and a Chick"
"Two Eggs and a Chick came about when I had this little baby hatch out on my farm. I love to show the baby animals off to my grandma who is now 99 years old. As a farmer, I collect eggs throughout the day. When I came into grab my camera I set the chick in the carton for safe keeping. 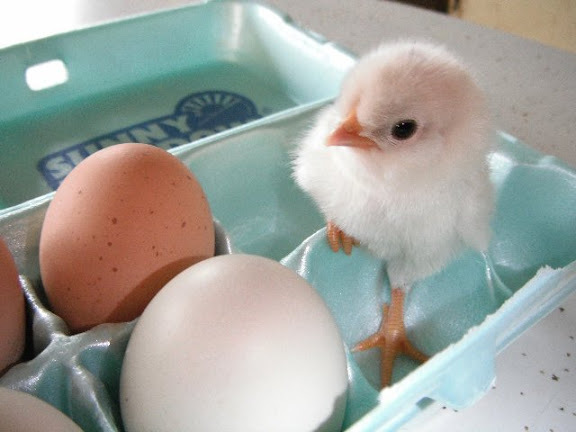 The baby was just hatched so he wasn't sure what was going on. I thought it looked pretty cute in the carton so I took this photo which has become one of my most well known. There's always something new and exciting going on at the farm and I love being able to capture little moments like this with my camera. Shot with my pocket Fuji XP camera." "Brutus is a big lovable Great Pyrenees, Golden Retriever mix. 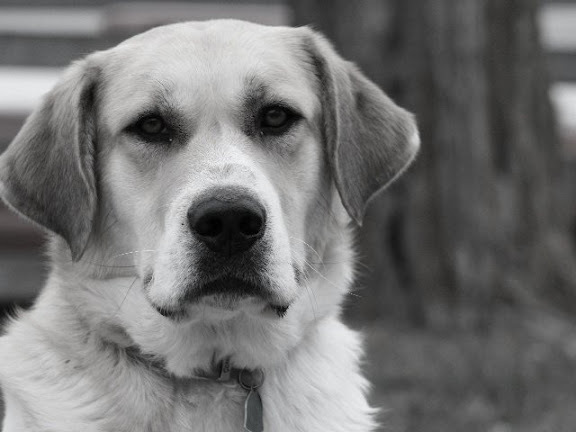 He is a protector and friend belonging to a family with a young son who calls Brutus his best buddy on the farm. I love capturing the heart and spirit of animals. Although they may not have words to say their eye's speak volumes. I photographed Brutus with my Canon Rebel."